This is probably the best experience I had in a Museum last year. Although I had great expectations, the new LWL Museum surprised me and I am eager to go back, it’s just perfect. 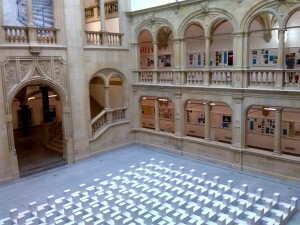 Münster has a well-known reputation as a city where you can live and enjoy art. From its museums to the Skulptur Projekte, if you take a walk through the city you’ll probably find a museum or various art pieces on the street in just 10 minutes. When the LWL team planned the improvements and the new building, they clearly had that in mind and thus wanted to become the best city and art museum. The investment was significant (around 48 million euros according to their website). The results also are. 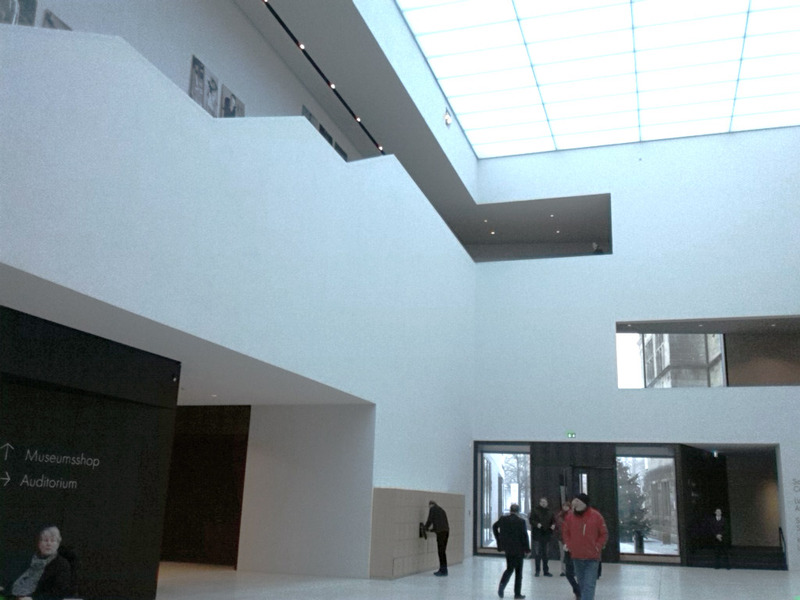 The impressive and beautiful building, by Staab Architekten, is perfectly conceived for such a museum in such a city. 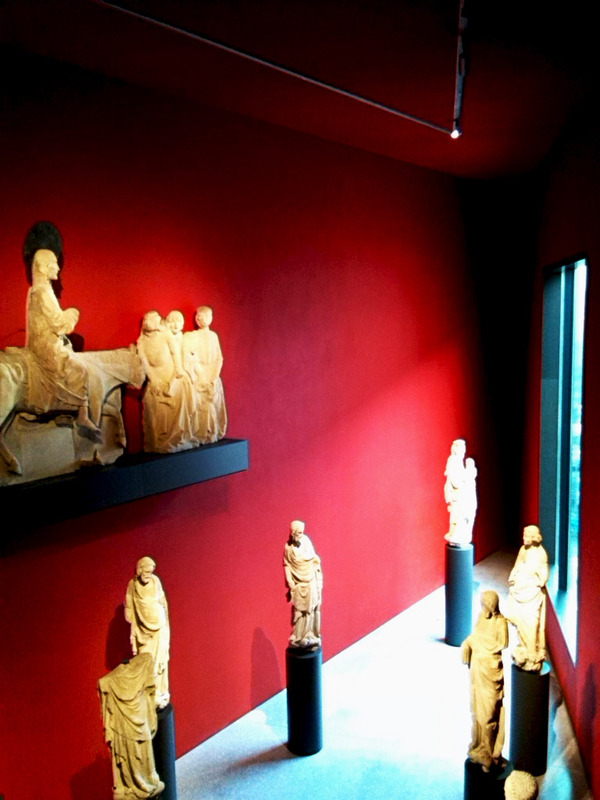 The museography is just perfect and makes clear differences in the archaeological and the art sections, bringing out the best of the pieces, exhibits and information. 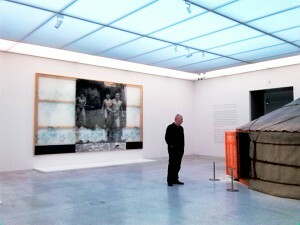 It is like visiting 3 museums at once, each part focusing the attention on what the visitor is probably looking after. The experience is so wonderful, most of all, due to the audio guides. It is the best audio guide project I have seen. It is included on the ticket price and is available in different languages for the permanent exhibition (only in German for the temporary exhibition). 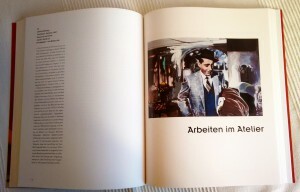 More than just explanations to hear, the audio guide is a complement to every piece and subject. You may hear information about the pieces, but that is only the starting point. It has a screen where you can watch interviews, see pictures, read more about the pieces, artists, periods or context of whatever you have in front. 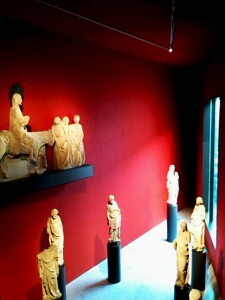 For example, there are some middle-age sculptures that belonged to some churches in the area. You may see old pictures of the churches, of its surroundings, and how the place and the church look like nowadays. You may watch an interview with the curator and read come texts about how the sculptures in those days were used to teach illiterate people about religion and social behaviour. So, you may study each piece in depth and take half an hour with each one if you want to. The learning possibilities are huge. 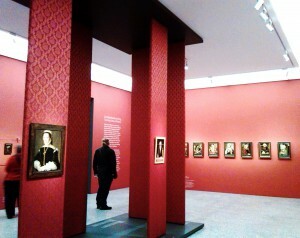 I have to mention the temporary exhibition I saw: “Das nackte Leben. 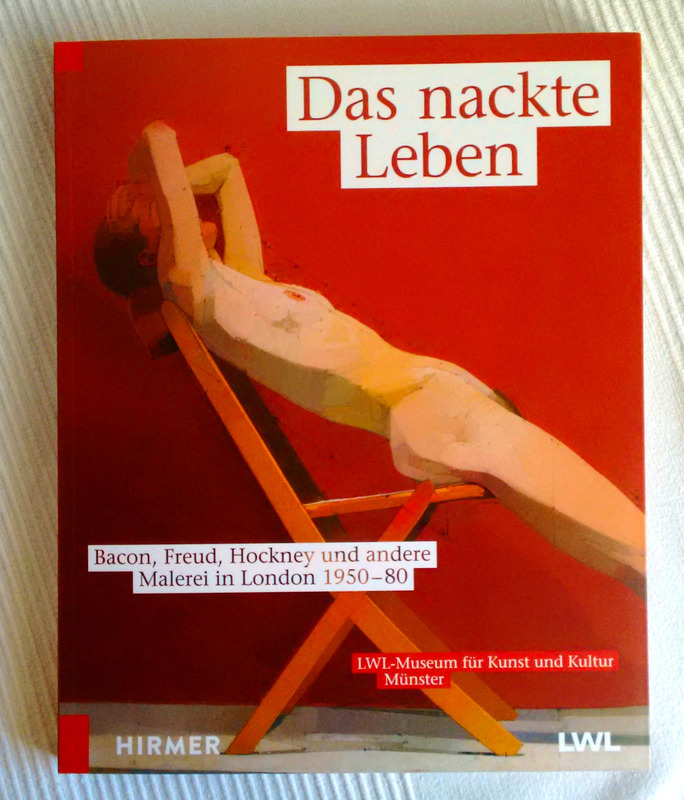 Bacon, Freud, Hockney und andere Malerei in London 1950-80”. It was pure beauty. A resounding beauty experience. The walls had strong colours which highlighted the paintings, giving a special atmosphere (they were brave daring to use the colours). 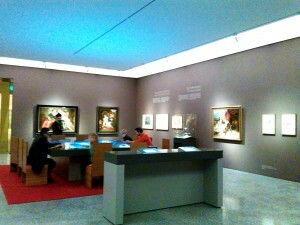 I will never forget this exhibition!! I am still moved and exited only by remembering how beautiful it was. 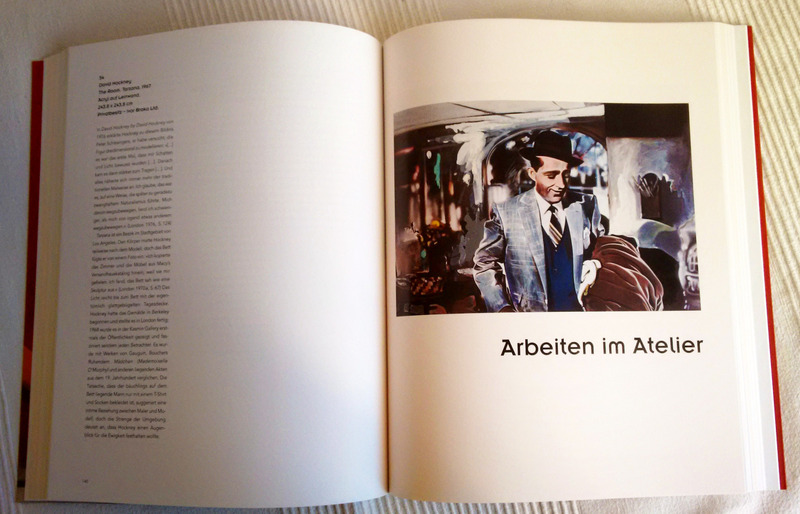 Fortunately I have the catalogue… I am sorry I don’t have pictures, as taking them in this exhibition was stupidly forbidden.